Organic Chemistry by IL Finar is fantastic for JEE preparation! Both the Finar Chemistry books - Organic Chemistry (Volume - 1), Organic Chemistry: Stereochemistry and the Chemistry of Natural Products (Volume - 2)  - cover all the basics as well as advanced topics of IIT Organic Chemistry quite well. Hence, it is a fantastic book for JEE preparation. 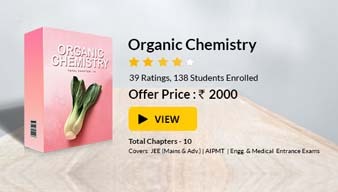 One of the the best-selling books for Organic Chemistry IIT JEE, the arrangement of topics in Finar Chemistry book is based on homologous series. SI (or international) units have been used throughout the book. While the first volume of Organic Chemistry by IL Finar helps students to form a firm base in Organic Chemistry, study the properties of organic materials and understand their structure and reactions, Stereochemistry or 3D Chemistry in Volume 2 delves deeper to help students understand the spatial arrangement of atoms in molecules and how it affects the physical and chemical properties of substances. Dr. Ivor Lionel Finar was the principal lecturer of Organic Chemistry at a polytechnic of University of North London and his subject expertise is evident in the easy way he handles complex topics. The best-covered topics in the book are Alkanes, Alkenes and Alkynes, and Organic Reactions (Mechanism). An interesting book worth reading, students will find this book highly useful for clearing any doubts related to Organic Reaction (Mechanism). 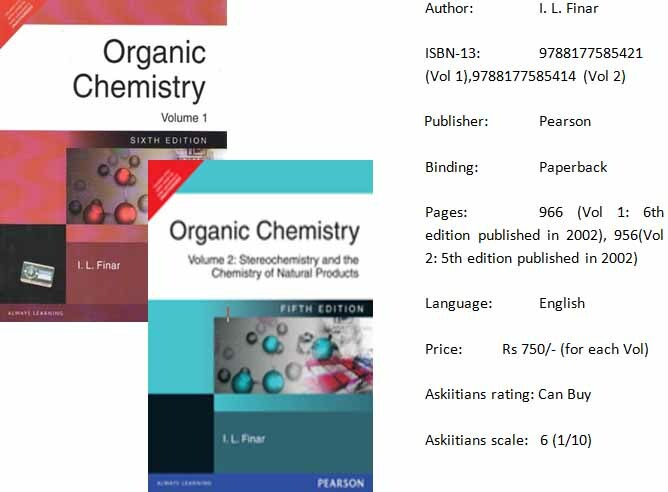 Like all the books authored by foreigners, Organic Chemistry by IL Finar also does not have practice questions and hence, students will need other books for JEE preparation too. Thanks for registration. Click here for link of important books.